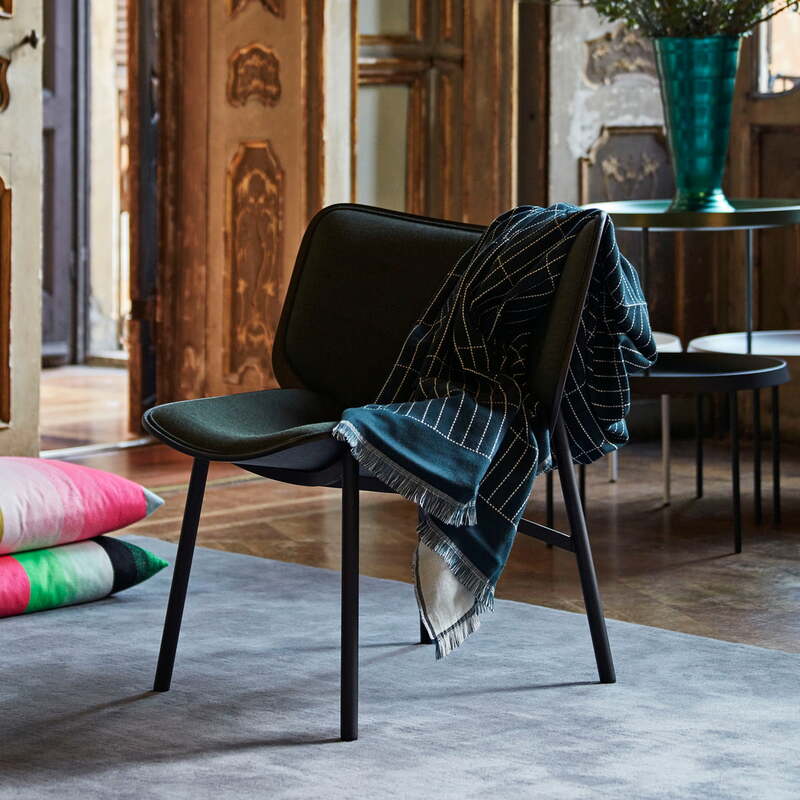 The Dapper Lounge Chair designed by Doshi Levien for Hay connects industrial design, craftsmanship and innovative manufacturing to form a modern, comfortable seat. The Dapper Lounge Chair was originally designed for University for London, which is why it has been fitted with an extra wide backrest. The sides of the backrest provide optimal elbow support when working on the laptop. The Dapper Lounge Chair consists of two curved oak wood shells with powder-coated steel legs and comfortable upholstery. The padding ensures maximum comfort so that hours can be spent sitting or working in the chair. Its appearance radiates warmth, which gives the chair a relaxed and timeless expression. 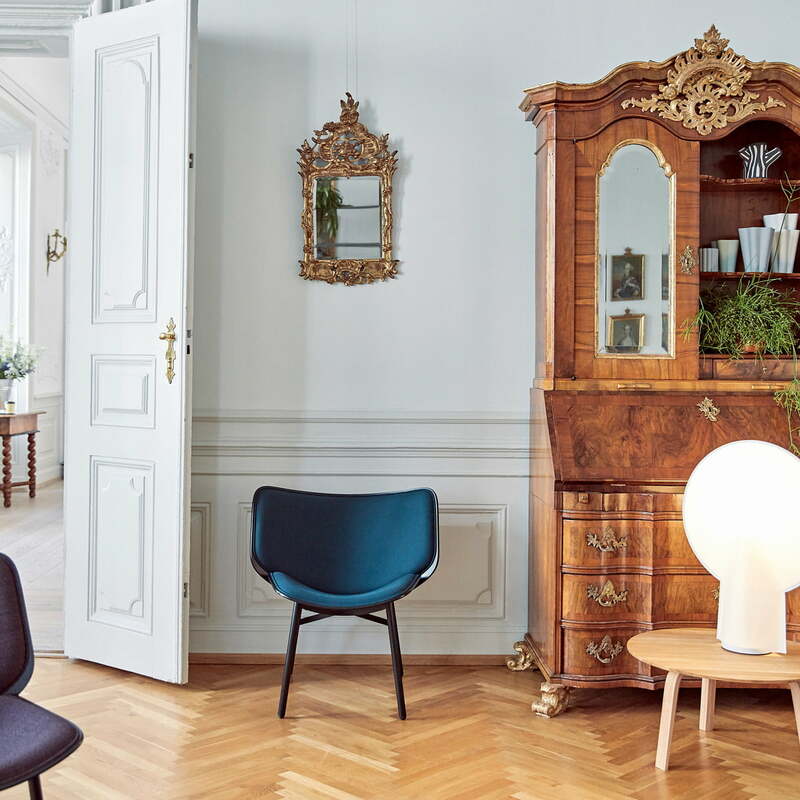 Available in various colours, the chair can be introduced into different style interiors and rooms including the living room, hallway, bedroom and study. 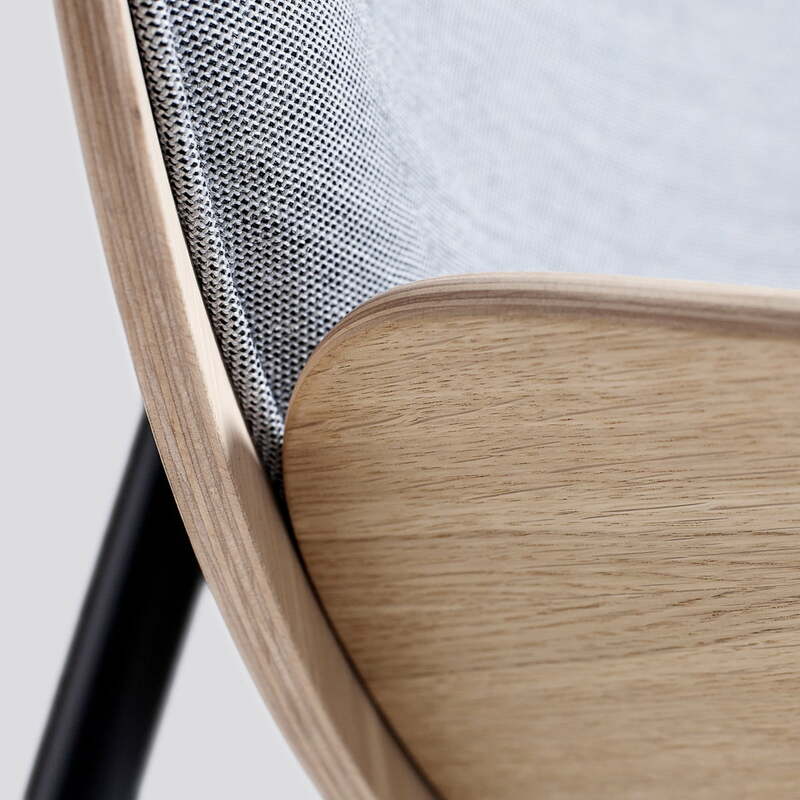 Isolated product image of the Dapper Lounge Chair by Hay with Surface 120 upholstery consists of a matt lacquered oak seat and backrest as well as a powder-coated steel frame. Lifestyle product image of the Dapper lounge chair by Hay in a classic living space. 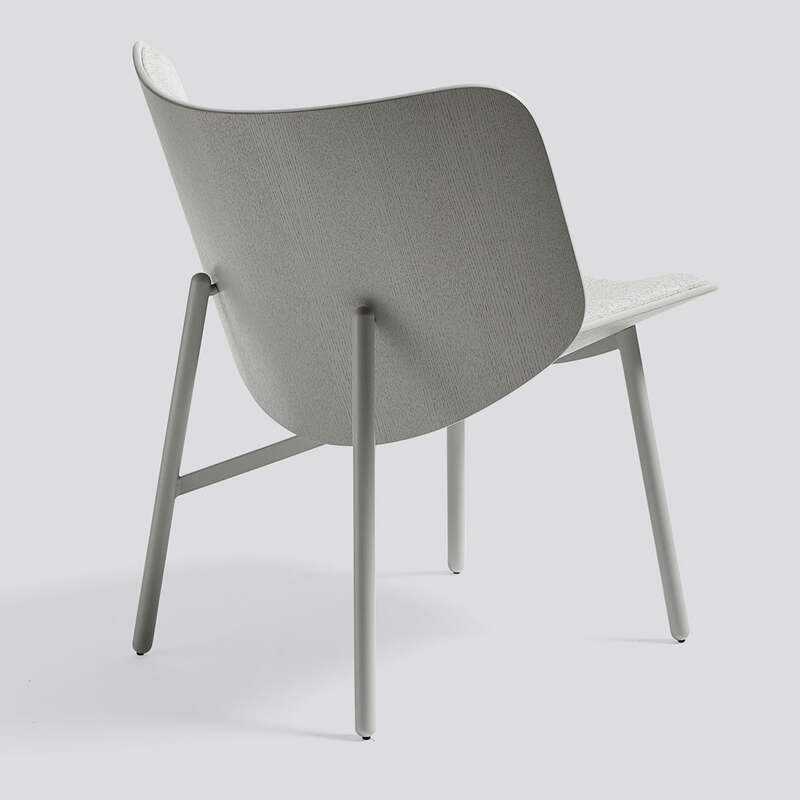 The chair can be seamlessly introduced into modern as well as classic environments. 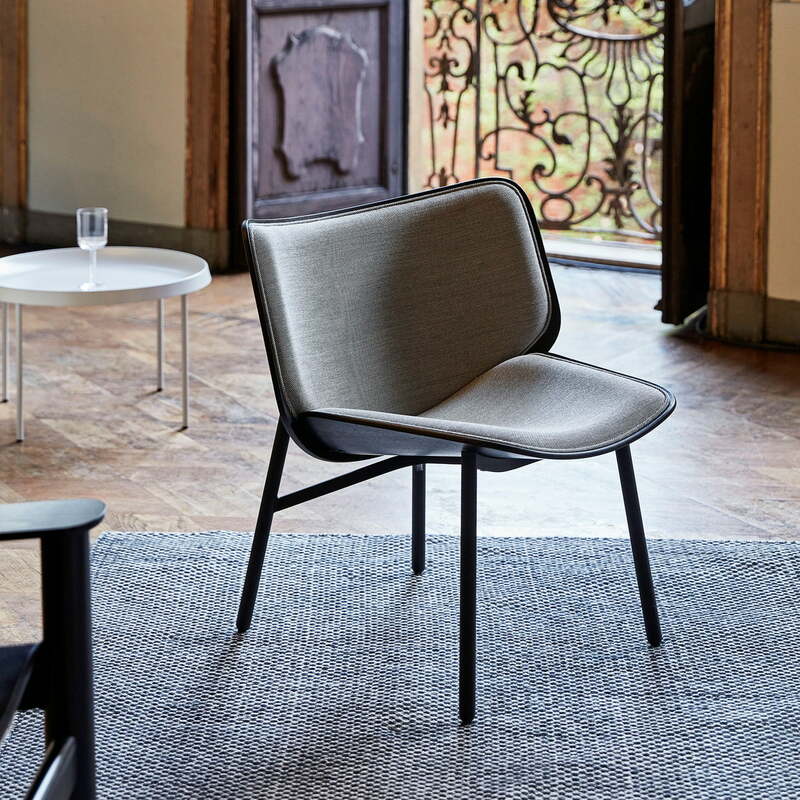 The Dapper Lounge Chair designed by Doshi Levien for Hay connects industrial design, craftsmanship and innovative manufacturing to form a modern, comfortable seat. The Dapper Lounge Chair was originally designed for University for London, which is why it has been fitted with an extra wide backrest for comfort and the sides of the backrest provide the optimal elbows support when working on the laptop. 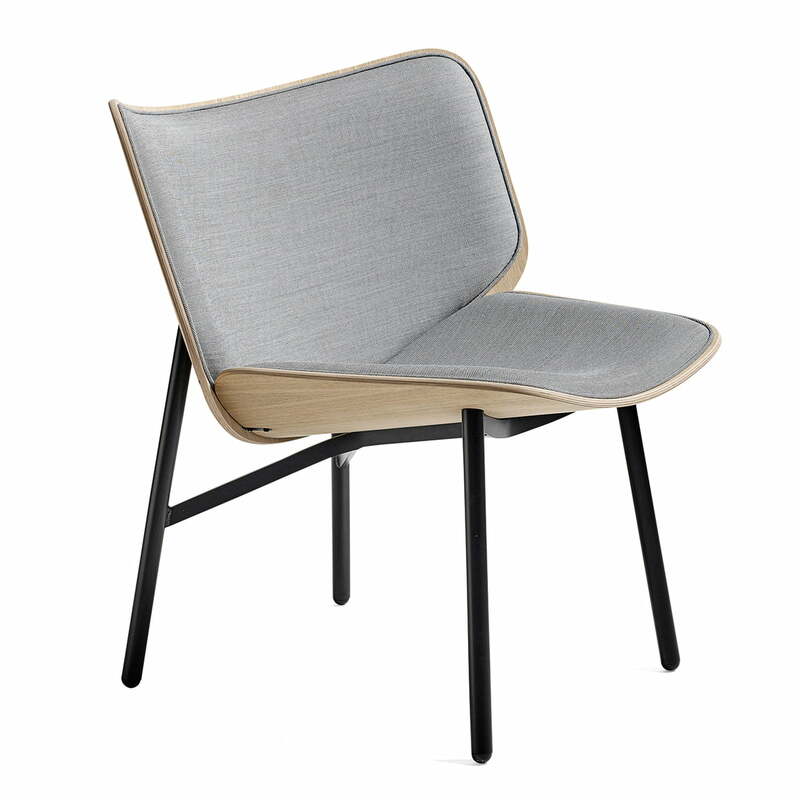 Lifestyle product image of the Dapper Lounge Chair by Hay. The padding ensures maximum comfort so that hours can be spent sitting or working in the chair. 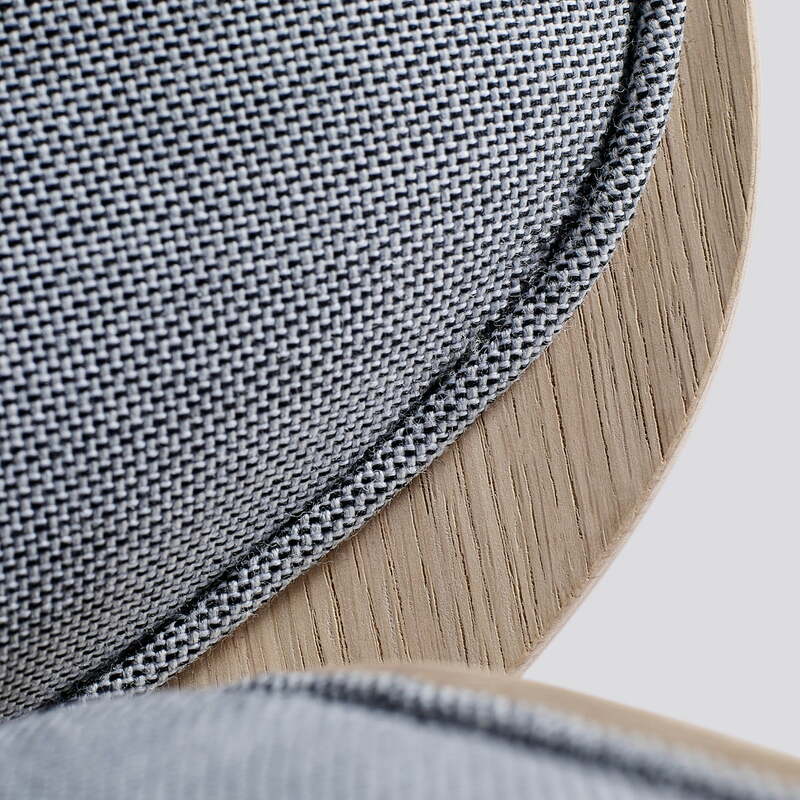 Detailed product image of the back view of the Dapper Lounge Chair by Hay. 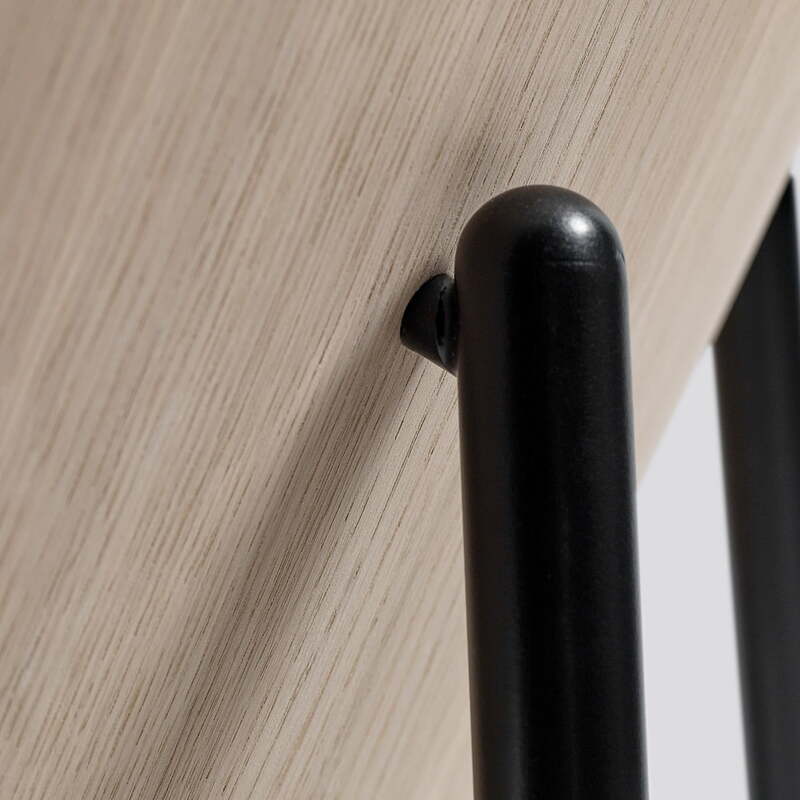 The seat and the backrest made of oak are supported by a powder-coated steel frame. Lifestyle product image of the Dapper Lounge Chair by Hay. The Dapper Lounge Chair consists of two curved oak wood bowls with powder coated steel legs and comfortable upholstery. 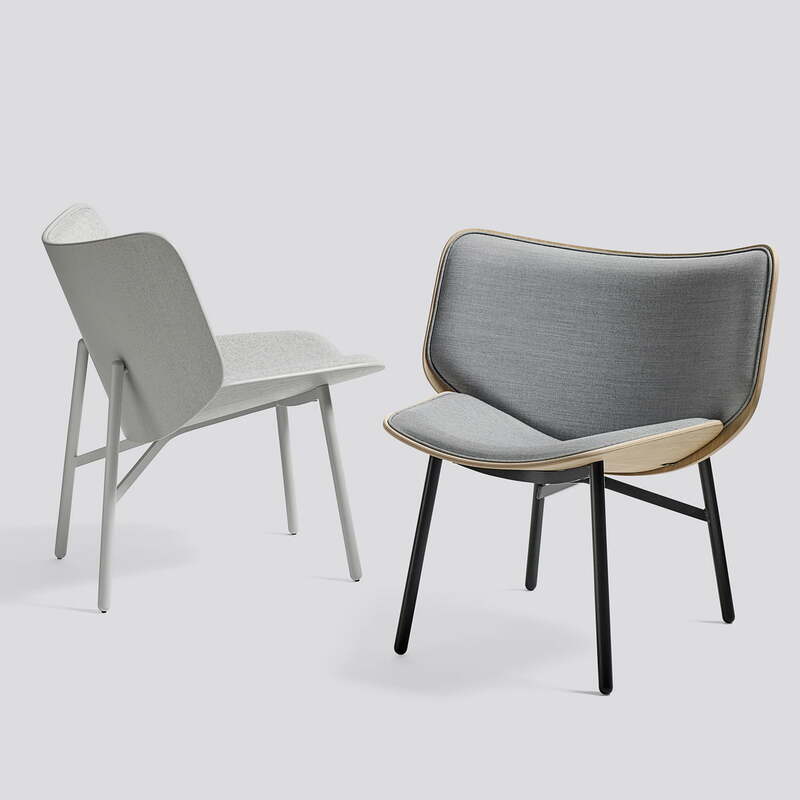 Lifestyle product image of the Dapper Lounge Chair by Hay. The upholstery does not cover the entirety of the seat and backrest so the wooden construction remains visible. Lifestyle product image of the Dapper Lounge Chair by Hay. 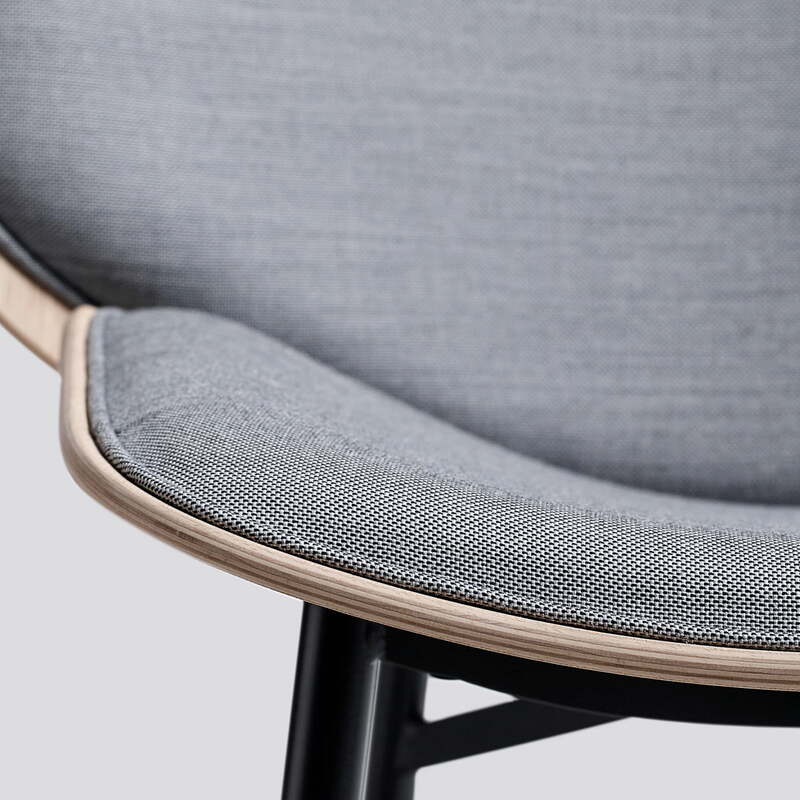 The seat shell and the curved oak backrest fit together perfectly and together provide maximum comfort. Lifestyle product image of the Dapper Lounge Chair by Hay in the living room. Its appearance radiates warmth, which gives the chair a relaxed and timeless expression.